Satellite phones in tourists trekking areas…!! Indian government is going to allow the use of satellite phones for adventurers, which is most likely to boost tourism in destinations where there is no phone connectivity. Now tourists can contact their near & dear ones in case of emergency while trekking in the remote areas of Ladakh, hiking in Sikkim, exploring the wilderness of Himalayas or doing other such activities in any of the remote areas of India. This decision is an outcome of the meeting held between home affairs and tourism ministries. Thuraya satellite phones were banned few years ago as it was becoming difficult for intelligence agencies to keep a track of these phones. But now, the home ministry has given its nod to remove the ban on the use of these phones. Approximately, 200,000 foreign tourists come to India for indulging in adventure and the number of domestic tourists is even higher. 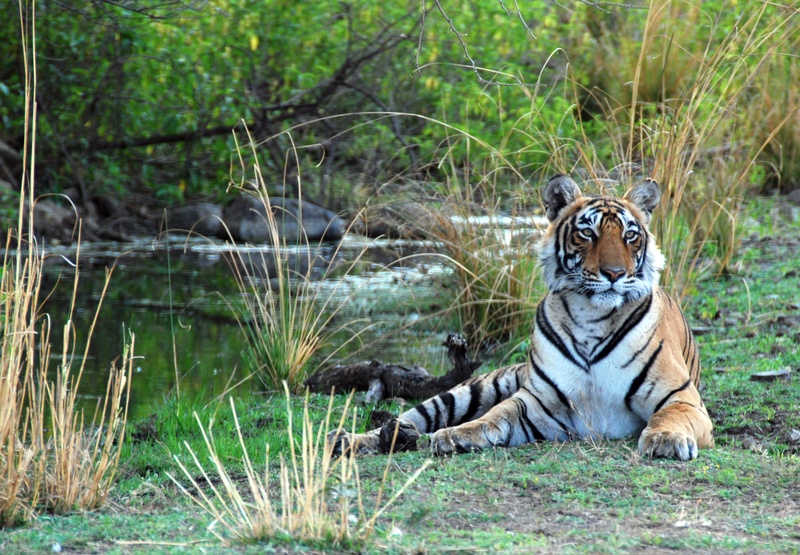 “It is a move that could finally put India on the map as a destination for adventure enthusiasts, the government is likely to lift the ban on use of satellite phones for tourism purposes. This means that tourists trekking in the wilderness in the north-east or skiing in the upper reaches of Himalayas where there is no connectivity can use satellite phones for any emergency.” -says, Dr Sharad Kumar Jindal, MD, MNM Travels Pvt Ltd. This entry was posted in Nature's Lap and tagged #satellite phone on September 12, 2015 by Monks & Monkeys Travels Pvt Ltd. Here comes grand good news for the tourism of Andaman & Nicobar Islands. A Memorandum of Understanding (MoU) has been signed between the Indian Association of Tour Operators (IATO) and the Association of Tour Operators, Andaman and Nicobar Islands to collectively work towards increasing tourist arrivals to the destination. President of IATO, Subhash Goyal, announced this at a recent IATO Interactive Luncheon Meeting in The Park Hotel, New Delhi. Vinod also revealed that they will be meeting with airline officials along with the Lt Governor of Andaman and Nicobar Islands, Lt General A K Singh. The Association of Tour Operators, Andaman and Nicobar Islands will assist IATO members in designing the packages and Vinod hopes to capitalize on the next peak travel season to the union territory. Being a member of the IATO, we are happy to announce the above news on our blog. We admire the beauty of picturesque islands here. When was the last time you have been overwhelmed and awestruck by the sheer beauty of a destination? Visit Andaman & Nicobar Islands and you have your answer. Situated to the East of India in the Bay of Bengal, this chain of islands offers some unparalleled and picturesque sights of nature you could ever imagine. It is home to some exotic marine life, both flora and fauna, and boasts numerous locations of architectural and geographical interests. What is an island without beaches? This place abounds with beautiful, scenic and serene beaches entertaining almost every type of individual who just wishes to unwind in his own way. Come, visit Andamans and be a part of nature and its unassuming beauty! This entry was posted in Nature's Lap and tagged #IATO #Andaman & Nicobar Tourism, #Travel News on August 13, 2015 by Monks & Monkeys Travels Pvt Ltd.
Best Time to Visit: June to September is the best time to travel down this route. If travelling by road, a person will take at least 2 days with adequate stops for rest. 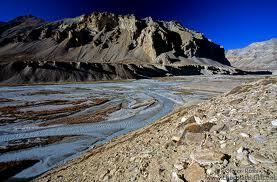 Manali to Leh Distance: The approximate distance from Manali to Leh 474 km. out of which 350 km, does not have any civilization. For 365 km on this highway, there is no fuel pump as well. Every year bikers from across the world plan to ride on one of the best routes to ride in the world, the 490 kms long Manali – Leh Highway. 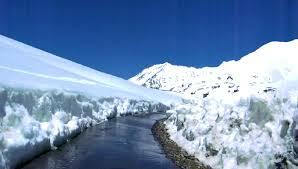 This year Manali – Leh National Highway opened & which will last in mid-October. Rest of the year this route remaining closed due to heavy snowfall. Manali to Leh road trip, an unforgettable journey into enchanting valleys, rugged terrains, picturesque mountains and scenic landscapes! The distance can be covered in two days typically with overnight stay options at places such as Keylong, Sarchu or Pang to name a few. Traversing through winding roadways and into mountain passes, you will be amazed at the ecosystem that thrives here. Almost touching the skies, the high altitude of these regions gives it a distinct look and feel. Fantastic scenery, historical trade routes and breath taking views are highlights of this trip. AMS is common at high altitudes at elevations over 10,000 feet as oxygen reduces by roughly 40% at such heights. The first syptoms of AMS is headache, dizziness and shortness of breath. If you experiance any of this make sure you stop at Keylong and get it attended to. This entry was posted in Nature's Lap on June 30, 2015 by Monks & Monkeys Travels Pvt Ltd.